With the Defender currently out of the picture (don’t worry, a new generation of the off-road icon is on its way), the Land Rover Discovery now represents the main workhorse in Gaydon’s line-up. However, as well as the requisite all-terrain ability, each successive generation of ‘Disco’ has also had to up the stakes in terms of style and luxury (without stepping on the Range Rover’s tyred toes). 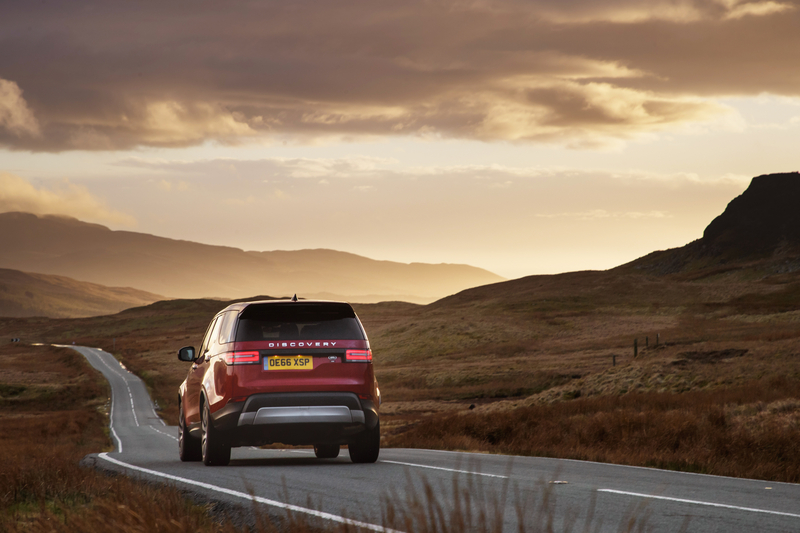 Once the preserve of wealthy farmers and avid horse riders, the Discovery has developed a reputation as a premium family SUV that happens to be one of most capable off-roaders around. This brings a problem. 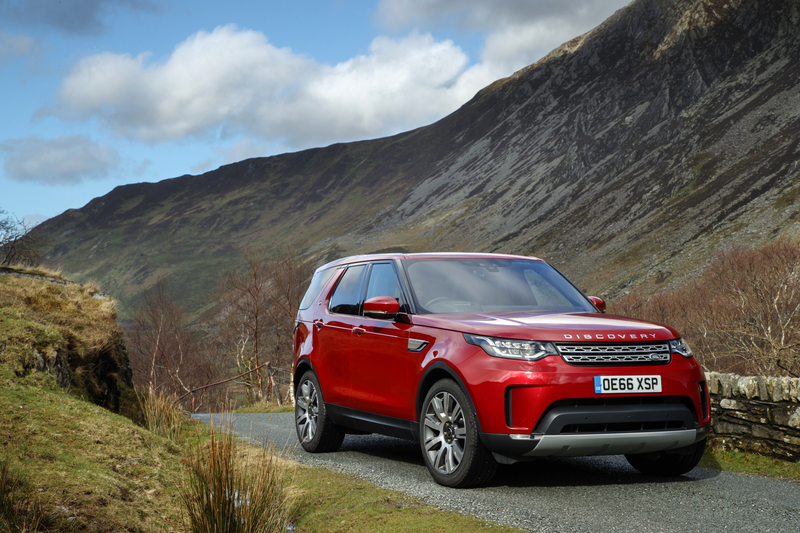 The ‘tailgating at Twickenham’ brigade want soft-touch materials and slick infotainment, while the adventurers and explorers that the Land Rover Discovery has always appealed to need something a little more hardy. Does the new 2017 Land Rover Discovery manage to settle these seemingly dichotomous requirements? Well, our first impressions from the cabin show that the latest Disco is a decidedly premium offering, especially in second-from-top HSE spec. 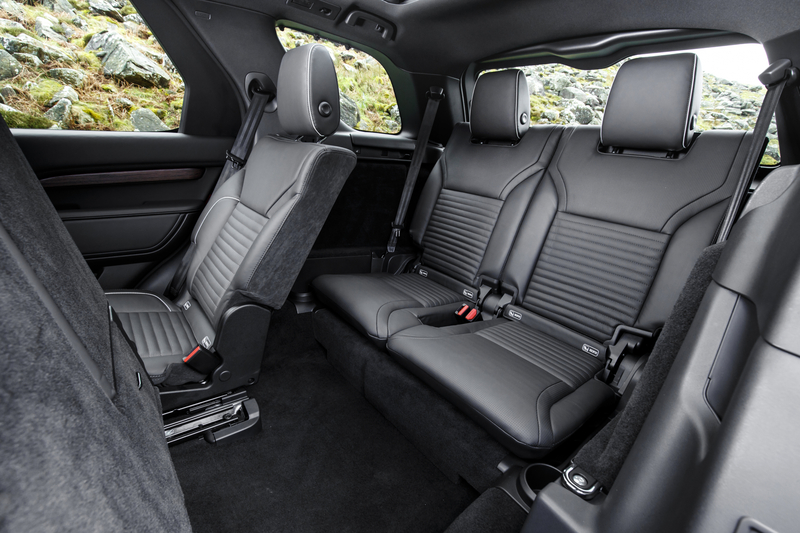 Sat in the driver’s seat, everything within your eye line is finished as you would expect in a car that starts at £43,495 and can rise all the way to over £60,000 for the top-line HSE Luxury. 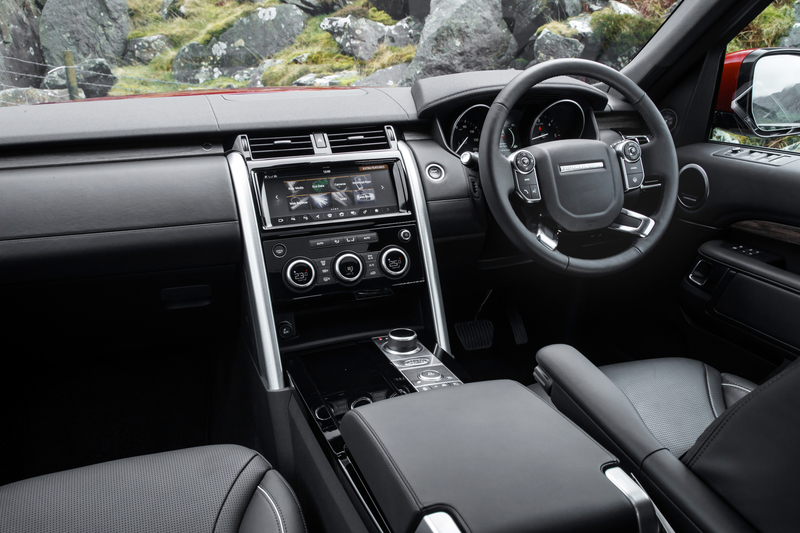 The latest infotainment system, complete with a 10-inch touchscreen, has enabled Land Rover to decrease the number of switches on the centre console by a third while also providing an impressive array of connected facilities (including news and weather updates as well as a built-in WiFi connection strong enough for six mobile devices). Delve a bit deeper though and, at the bottom of the door cards, the plastic becomes harder (and more durable). It may seem a slightly odd contrast to the luxury ‘up top’ but you’ll appreciate it if you’re bundling in after a particularly muddy hilltop hike. Land Rover’s engineers have also managed to build in plenty of storage space throughout; cubby holes are seemingly hidden behind every surface, including the air-con control panel and underneath the central cupholder. This extra stowage is a necessity though as the new Land Rover Discovery is capable of ferrying seven fully-grown adults on epic off-road adventures (so it’s just as well that the SUV can come with up to nine USB charging points too). So, it’s spacious and smart inside? Yes, without a doubt. And the cabin is a pretty nice place to spend your time too (even if you’re placed in row three of the ‘stadium seating’). None of this counts for much though if the 2017 Discovery doesn’t do the basics well. After all, it is still primarily a working SUV, not a rolling living room. 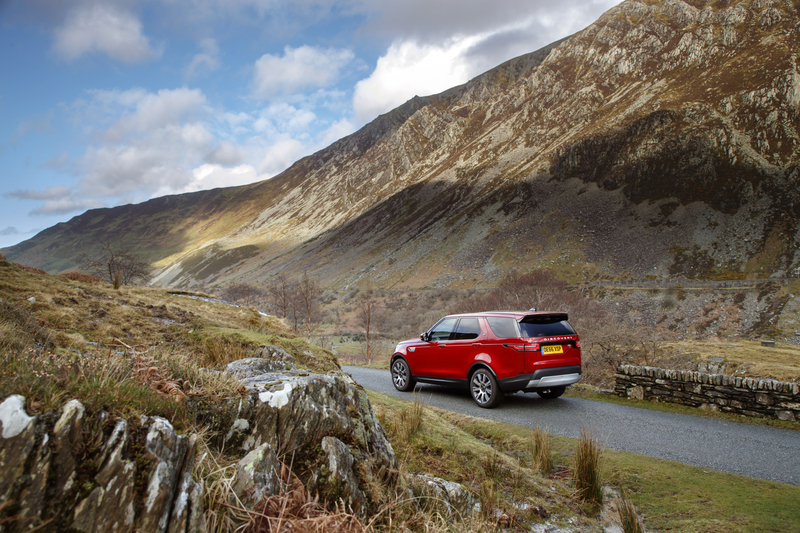 Thankfully, on road and off, Land Rover has ensured Disco 5 sets a new class benchmark. On tarmac, there’s really only one way a Discovery will ever be driven (you won’t be putting it on its door handles as you carve across an epic B-road) but this isn’t to say it doesn’t cover paved ground well. While it still pitches around a bit in the twisty stuff, the level of roll is largely kept under control meaning the fifth generation of Discovery certainly doesn’t feel like a cargo tanker in a force ten gale! The ride is generally pretty comfortable too, though at high cruising speeds things can get a little crashy (especially on the larger 20 and 21-inch alloy options). New to the range, the 2.0-litre Ingenium powerplant provides some impressively potent shove. The diesel unit generates 240hp and 500Nm of torque, figures that are only just shy of the Td6 six cylinder oil burner. It means that you’re never really wanting for grunt, especially as the silky smooth eight-speed automatic gearbox feels more responsive than some much more sporting machinery. 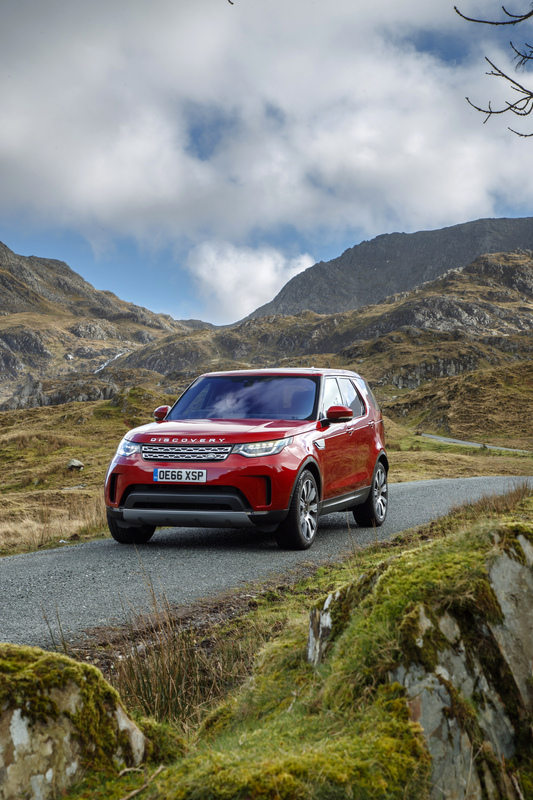 Of course, it’s when the terrain becomes a little more unstable than your pot-holed suburban street that the new Land Rover Discovery really shines though. 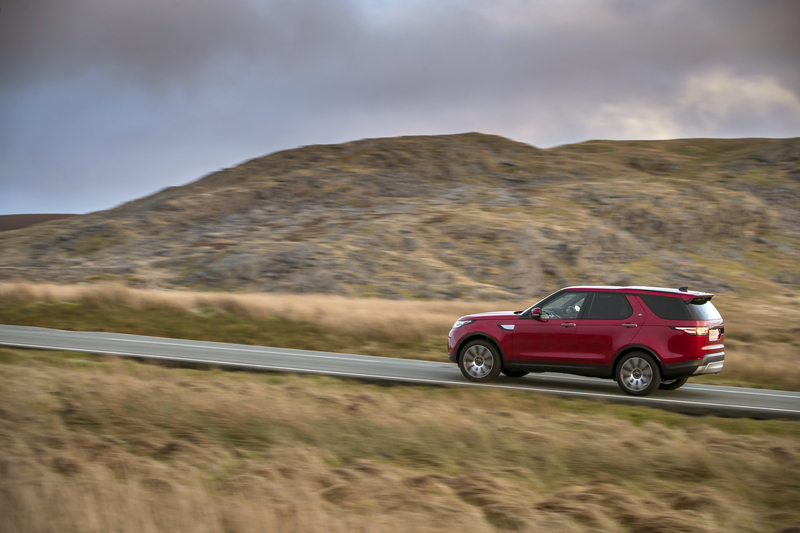 Kitted out with the new Terrain Response 2 system, the 2017 Discovery takes the Range Rover Sport’s four-wheel drive platform and stretches its abilities to an even higher level. Using the rotary adjuster dial, you can select one of four different drive modes to match the car’s settings and responses to the terrain ahead. Alternatively, the ‘Auto’ mode is spookily effective at judging conditions underfoot and adjusting the Disco’s behaviour accordingly. Rock-crawling, mud-plugging and slick hill descents are all batted away with the minimum of fuss (aided by a number of mechanical improvements, such as the astonishing 900mm wading ability). Possibly the 2017 Discovery’s most impressive trick however is the All-Terrain Progress Control. Using the hill descent function and the cruise control system, ATPC can make even the most novice of off-roaders look like a mountain-climbing king. Maintaining a driver-selected crawl speed, it’s so natural that it makes you wonder why you’d ever bother using your legs off-road again. It takes an incredibly deft set of pins to match the computer’s terrain-crossing composure. With the throttle and brakes taken care of, all you’ve got to focus on is steering the Disco across your chosen stretch of tumultuous topography. The only thing you do have to worry about is the slight feeling of invincibility. “So far, so good” you’re undoubtedly thinking. But there’s a catch. Or at least, we think there is. 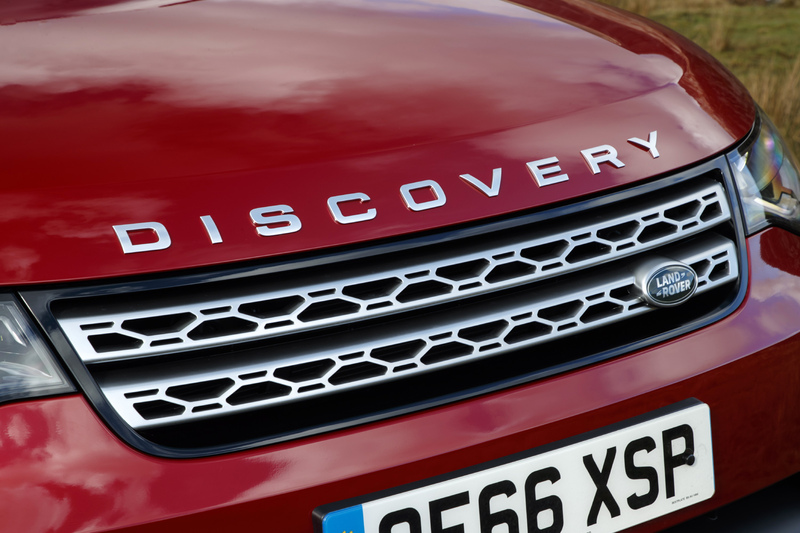 For all it’s incredible ability, we’re not entirely sold on the latest Discovery’s looks. Sure, it’s no Quasimodo (far from it) but it doesn’t seem quite as distinctive at the slab-sided Disco 4 it replaces. From the front, the smoothed out face is appealing enough but, from the rear it just seems a little… bland. Oh, and the offset rear number plate is a surefire way of annoying the hell out of anyone with even a mild case of OCD. Aesthetics are objective though and with more than 20,000 orders worldwide since launch, we’re willing to bet that we’re in a minority regards the styling. What’s more, whether you’re wanting a luxury SUV that isn’t quite as wallet-breaking as a Rangie, or you need an out-and-out adventure vehicle, the 2017 Land Rover Discovery is undoubtedly our number one choice.